Unfortunately the performance I have been waiting most impatiently to see left me disappointed and a bit confused. 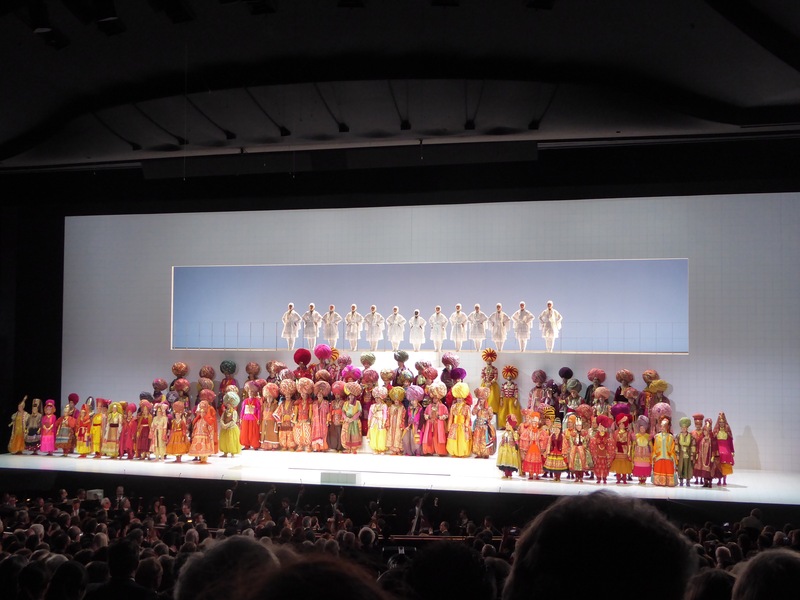 After long weekend in April, devoted to Richard Strauss, as part of Straus-Wochen in Berlin, where Danae did not fit my travel schedule, I was quite eager to get to know the opera, and had high hopes that Alvis Hermanis will do both visually and dramatically engaging performance. 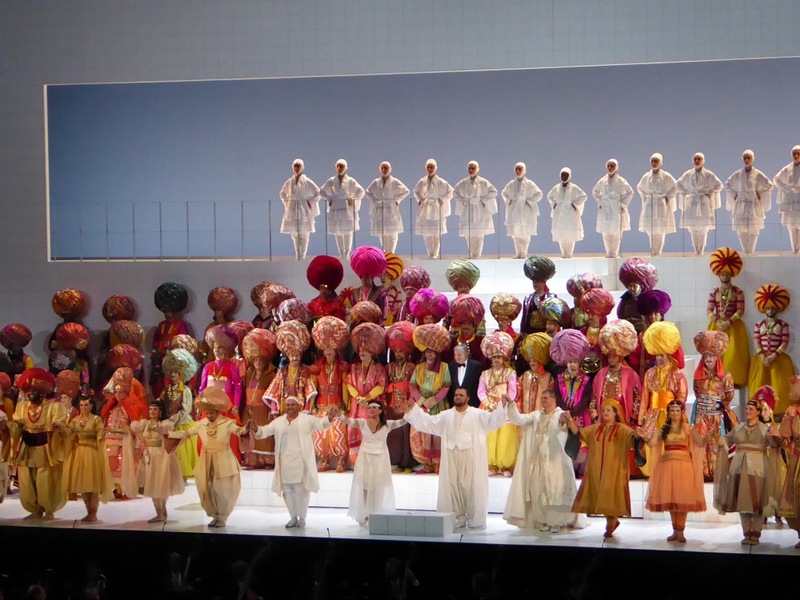 The first part of expectations – visual – did come through, and even if sometimes the stage reminded of WestEnd musicals or Disney animations, it provided consistent colour coding and adherence to storyline with the plot of the opera – from ancient Greece to Syria and arabic fairy tales. The story is about gold and temptation, so we got gold in abundance. The initial idea for libretto conceived by Hofmanstall and completed by Gregor, merges two unrelated ancient myths: Jupiter who turned into shower of gold to seduce Danae, and king Midas, who turns into gold anything he touches. The main protagonist of the story is Danae, and Krassimira Stoyanova delivered “almost- impossible -to -sing” vocal score with confidence and beauty. Her performance was outstanding, except main flow of direction – the approach of letting singers alone, typical in recent productions of Alvis Hermanis did not work out quite well, since even in such constrained area, mostly taken by dancers or elephants, the main protagonists had minimal or no interpersonal interaction, which sometimes looked even strange, and mostly resulted of two main protagonists standing on opposite sides of the stage centerpiece and delivering their parts. 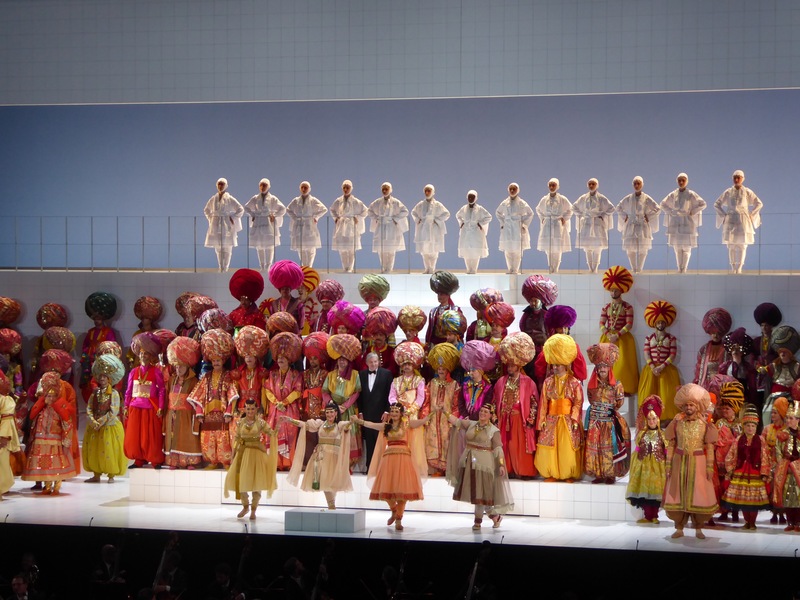 It is well known that vocal score is very complex and active movements on the stage might impact vocal performance, nevertheless, some awkward moments clearly demonstrated that some help would have been serving the purpose and give artists more comfort on the stage. Tomasz Konieczny as Jupiter carried out his role convincingly, his bassbaritone painting regal challenges and fighting loss and disappointment. He is also excellent actor, and was a pity that his potential has not been used in full. Gerhard Siegel, Midas alias Chrysopher together with Krassimira Stoyanova owned the show. 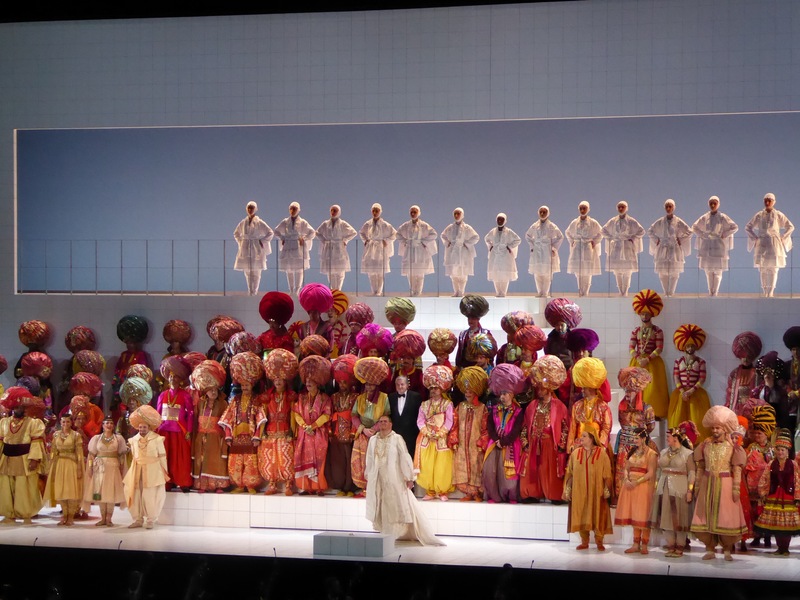 Siegel has pleasant tenor and never pushes on high note, and knowing that it was his debut in the role of Midas, the performance was carried out impeccably. Vienna Philarmonic produced soft, lively and very balanced sound, and it was great pleasure to listen – I can even admit that especially in the last two acts, owing to lack of sleep, I was absorbing the beauty of the music with eyes closed, and that felt even more fulfilling than following the storyline on stage. The orchestra was led by Franz Welser-Möst, his conducting very energetic, though several times the singers were covered by too loud expressiveness. 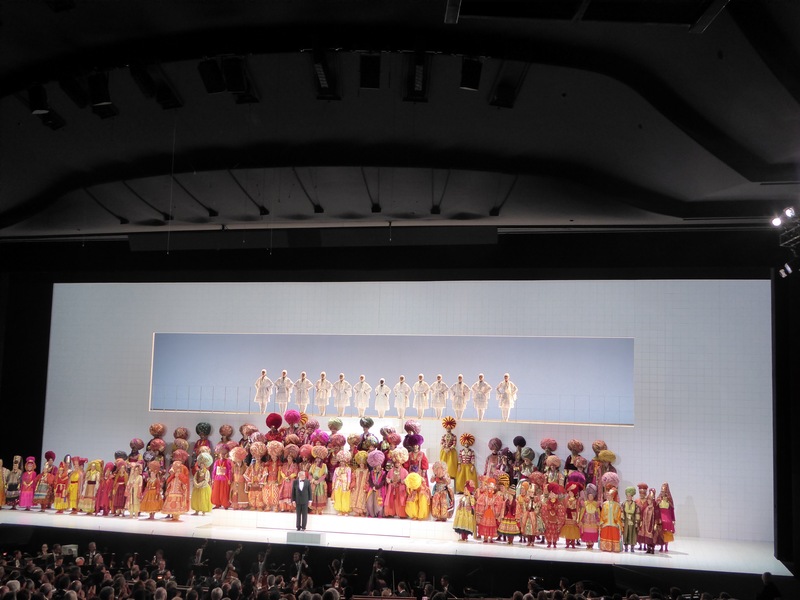 The staging and sets by Alvis Hermanis were clean and consistent, and well supported both by video created by Ineta Sipunova and choreography by Alla Sigalova. 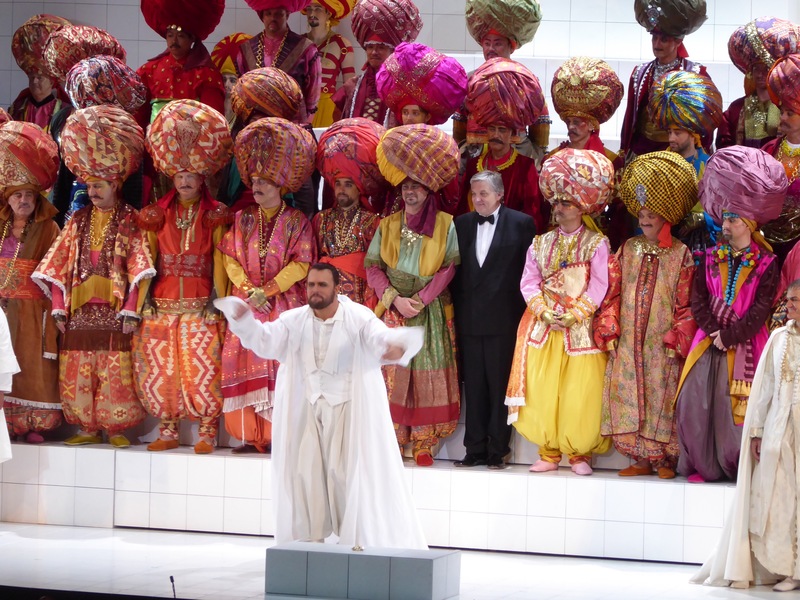 The side effect I have mentioned earlier – it seems like singers are left to themselves and demoted to level of musical instruments – the same feeling I had seeing Foscari at La Scala in spring. 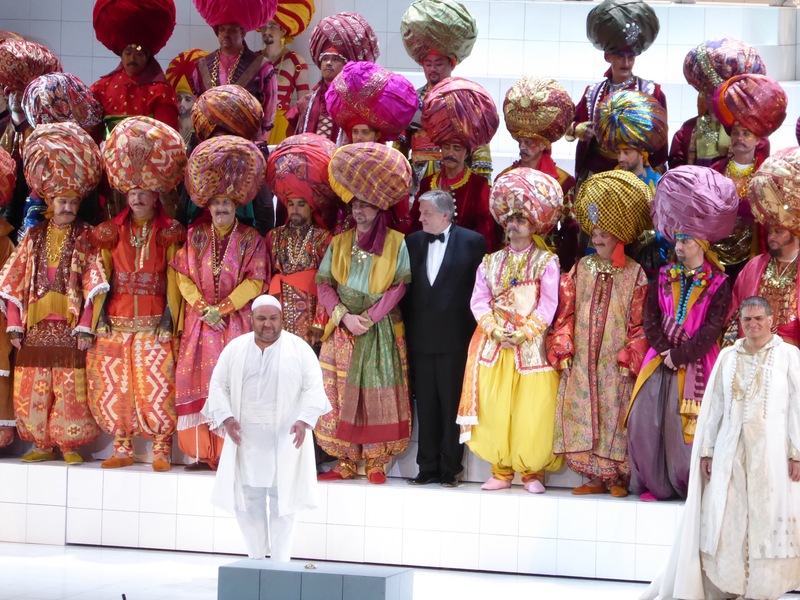 It is a pity when such dramatic potential is lost, especially with the cast as we had last night in Salzburg.